The head of Rome’s Jewish community got a little more history than he bargained for on Holocaust Remembrance Day, when he was locked in the same concentration camp where his grandparents died, and then arrested while trying to escape. Riccardo Pacifici was doing a live report from Auschwitz for an Italian television station when, suddenly, he and four others found themselves in an abandoned camp with no one around to let them out. After an hour in sub-zero temperatures, they climbed out a window to get out — and were quickly detained by Polish police. To make matters worse, the officers decided to interrogate them on the grounds of the death camp until 2:30 a.m., pausing only to move them to the police station for several more hours of questions-and-answers. (A language barrier no doubt amplified the confusion, but didn’t seem to slow anything down.) They were finally released only at 6 a.m., after interference from the Italian foreign ministry. 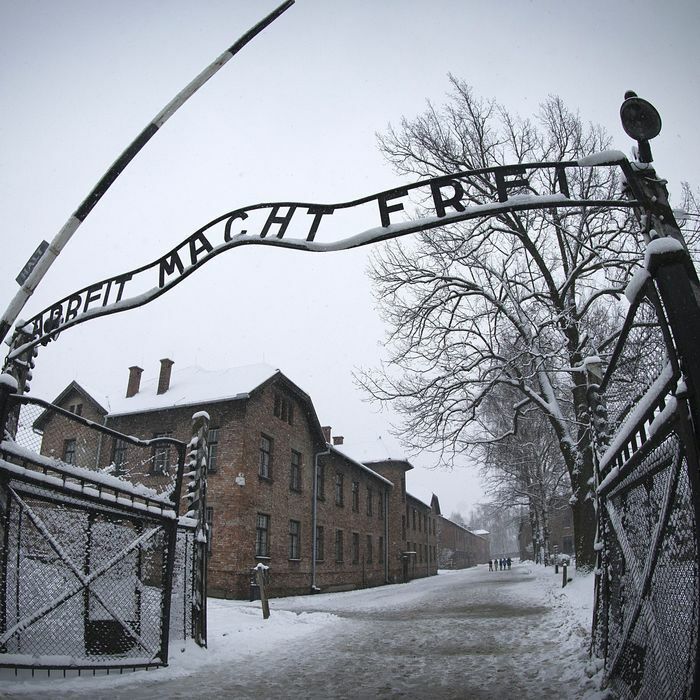 “We are being held by the Polish police inside Auschwitz…. A disgrace,” Pacifici tweeted.